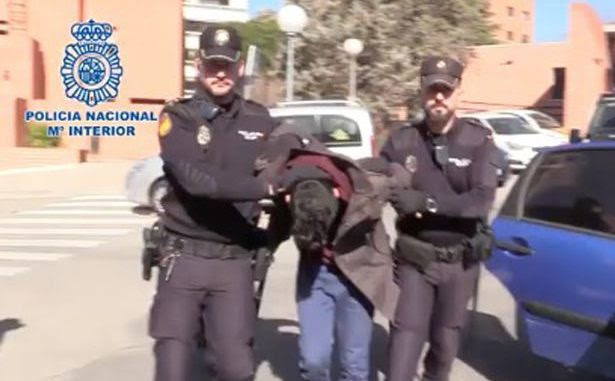 A man was arrested by Spanish police after admitting to killing his mother and chopping up her body into more than 1,000 small pieces before cooking and eating some of her remains and feeding some to his pet dog. 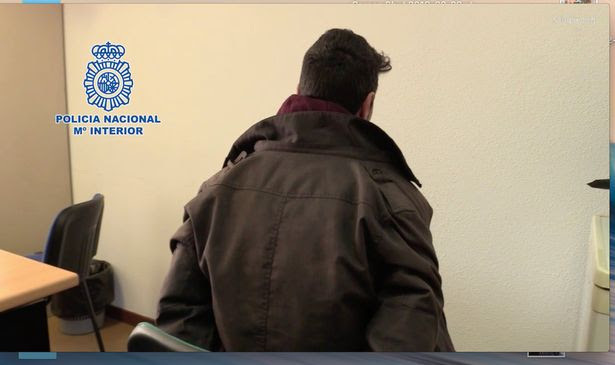 26 year old Alberto Sanchez Gomez confessed to the brutal murder of his 66-year-old mother, Maria Soledad Gomez, after detectives came to his Madrid apartment to inquire about the woman who had been missing for a month, according to Spanish newspaper El Mundo. He reportedly confessed to killing and dismembering his mother, cooking parts of her body and disposing of her organs in the bin. The Mirror reports: Shocked police found the 66-year-old mother’s body parts in at least six large plastic containers inside the flat near Madrid’s famous Las Ventas bullring. Sanchez allegedly dismembered his mother after killing her, and then cooked parts of her body and tossed her intestines in a bin with household waste. Macabre new details of the gruesome find emerged today as the alleged self-confessed cannibal was due to appear in court. Spanish newspaper El Mundo reported that the mother’s body had been cut up into more than 1,000 tiny pieces, her vital organs were missing, and part of her intestines were found mixed with domestic waste inside the flat. Sanchez, a jobless former waiter, is expected to be charged with killing her, although police have not yet said how they believe he ended her life. The first photos of Sanchez emerged today as former friends claimed he had become a problem for his family after becoming addicted to drugs. They claim he used to spend time on a park bench opposite his home drinking with rough sleepers. It is not yet clear when his mum died, with police saying yesterday that they suspected it happened a month ago. However, a neighbour claimed she saw the OAP sunbathing during the week. Police sources say they believe Sanchez, who was 15 when his cabinet-maker dad died, cooked part of his mum’s body parts before eating them or feeding them to the pet dog. He was well-known to officers because of a series of prior arrests thought to relate to domestic violence against his mum, who neighbours said often had bruises they initially thought had been caused by the dog. Sanchez, one of three children, has been undergoing psychiatric evaluation but is expected to be remanded in prison following his court appearance. I AGREE! WHAT ARE THEY PUTTING UP THERE? ONCE THE ROCKETS are USED, HOW COME WE CAN’T SEE WHAT THEY ARE LEAVING BEHIND? WHERE ARE THE IMAGES OF THE DISASTER’S AND DEBRIS??? ARE ENGINEERS THAT STUPID… WHERE DID THEY GET THEIR PHD’S B/C MY SON ISN’T GOING TO THAT UNIVERSITY!!!!!! China is developing a non-lethal weapon system based on microwave radar technology, Global Times reported, citing an interview with the project’s chief engineer, surnamed Su- https://www.bloomberg.com/news/articles/2019-02-22/china-working-on-non-lethal-microwave-radar-weapon-global-times. The weapon shoots millimeter microwaves at targets to inflict pain under their skin, said Su, who is also a senior engineer from the Beijing Institute of Radio Measurement affiliated with the China Aerospace Science and Industry Corporation. The microwaves can be aimed at specific body parts or sweep a wider area. Tests have so far shown that the weapon left no permanent injuries or long-term physical effects, the Communist Party publication said. China’s police and the coast guard are potential buyers of the system, it added. Nice “blump” tell us when you’re going to report the “whole truth, AND nothing but the TRUTH – https://www.bloomberg.com/news/articles/2019-02-22/china-working-on-non-lethal-microwave-radar-weapon-global-times. The most important congressional hearing in decades will begin at 10 a.m. on Wednesday. Attorney Michael Cohen was Donald Trump’s “fixer” for more than a decade, but now he has turned completely against Trump, and on Wednesday he is going to give the House Oversight Committee as much damaging information about Trump as he possibly can. In fact, as you will see below, he plans to testify that Trump committed “criminal conduct” after he entered the White House. 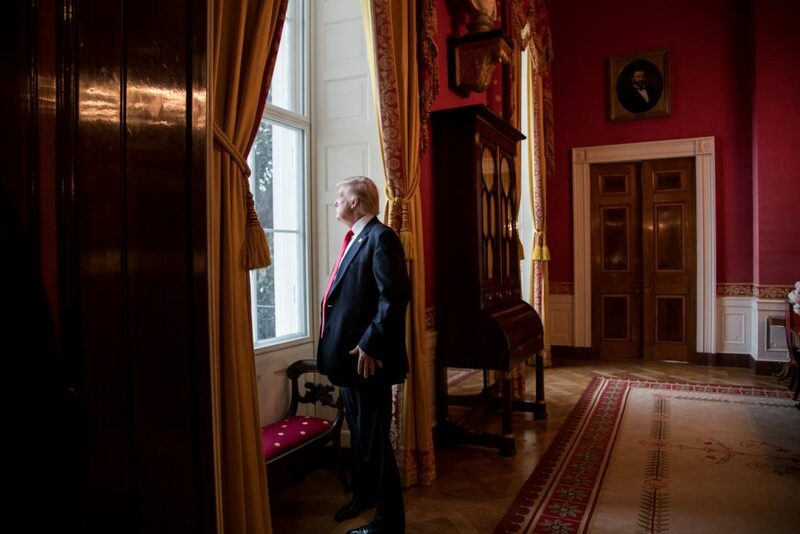 Of all the challenges that President Trump has faced so far, this could potentially be the most difficult by a very wide margin. If Cohen gives the Democrats enough ammunition, they will likely attempt to initiate formal impeachment proceedings. (Reuters) – FedEx Corp this summer plans to begin testing a robot to handle home deliveries for partners ranging from Walmart Inc to Pizza Hut. A FedEx SameDay bot, which will be tested this summer by FedEx and partners such as Pizza Hut, Target and Walmart for same-day delivery in some cities including Memphis, Tennesse, U.S., is shown in this handout photo provided February 26, 2019. Shippers, retailers and restaurants are experimenting with robots, drones and self-driving cars in a bid to use automation to drive down the high cost of delivering gadgets, groceries and even cups of coffee the “last mile” to consumer doorsteps. FedEx is teaming up with DEKA Development & Research Corp, whose founder Dean Kamen invented the Segway stand-up scooter and iBot stair-climbing wheelchair, for its project. The delivery company said the robots could become part of its SameDay service that operates in 1,900 cities around the world. The battery-powered robots look like coolers on wheels. Cameras and software help them detect and avoid obstacles as they roam sidewalks and roadways at a top speed of 10 miles (16 km) per hour. The project must win approval in test cities, including the shipper’s hometown of Memphis, and the first deliveries will be between FedEx office stores. On average, more than 60 percent of merchants’ customers live within three miles of a store location. FedEx said it is working with its partners, which also include AutoZone Inc and Target Corp, to determine if autonomous delivery to them is a viable option for fast, cheap deliveries. The “last mile” to the home accounts for 50 percent or more of total package delivery costs. Restaurants pay third-party delivery companies like Uber Eats, DoorDash and GrubHub commissions of 10-30 percent per order. Investors and companies are pouring millions of dollars into projects aimed at lowering those costs and overcoming regulatory hurdles. For safety reasons, many states want autonomous vehicles to have humans as emergency backup drivers. Starship Technologies, which has raised more than $40 million in venture funding, last year deployed robots to deliver packages in the San Francisco Bay Area. Amazon.com is testing its own delivery robot dubbed “Scout”. FedEx rival United Parcel Service Inc is not testing robots – but like FedEx and Amazon, it is experimenting with drone deliveries. Other tests include tie-ups between grocery seller Kroger Co and self-driving car startup Nuro, as well as DoorDash and General Motors Co’s Cruise Automation. 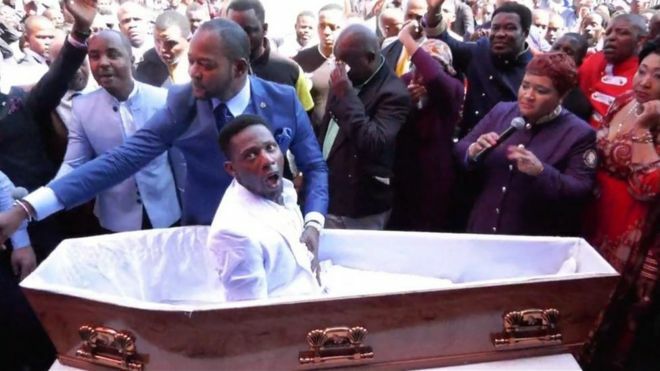 A viral video of Pastor Alph Lukau shows him shouting “rise up” to a man lying down in a coffin who then jerks upright to cheers from worshippers. The spectacle, seen outside Pastor Lukau’s church near Johannesburg, has been ridiculed and condemned by many. “Alleged family members of the deceased” told the Kings & Queens Funeral Services they had had a “dispute with a different funeral service provider”. The customers also allegedly placed “Black Phoenix stickers on their private car” to look credible to Kings & Queens Funeral Services when they went to hire a hearse from them.